This is the first in a many part series on how the Golden Pandas livelihood pod operates. One of the main benefits of being part of an open, participatory, and non-hierarchical network full of people who can’t look at rules without wanting to break them, is playing around with new forms of organisation. At Enspiral, we’ve left a big pile of practices and behaviours at our virtual door. Ways of working that didn’t serve us, or weren’t fun, or didn’t let people be themselves, or which got in the way of real innovation. A bonus of working in this way is that it attracts highly intelligent lunatics. Combine the lunatics with the freedom to create and the need to solve problems associated with freelancer/startup life and you have the Golden Pandas livelihood pod (also a registered company). A livelihood pod is a collection of people who commit to working and learning together. Over the last year at Enspiral we’ve seen the emergence of pods as a solution to many of the problems freelancers or consultants face. Problems like; having to do your own business development for every contract, working solo, being at the mercy of the boom and bust nature of freelancing, feeling isolated, forced to consistently sell time rather than build products, not having time for personal and professional development at work, burnout. Root Systems and EXP, and are two other pods at Enspiral. But they don’t have a Panda based vocabulary and Panda alter egos. We do. Pods are like small businesses but with a focus on self management and self organisation, and deliberately developing with a close group of people. The Golden Pandas, Joshua, Susan, Damian and I, collectivise all of the income we make through consulting and draw a small monthly wage while we build up our buffer and seed opportunities. The way that we pay our bills is through a couple of different income streams. Susan, Joshua and I do organisation consulting, workshops and facilitation with clients and collaborators around the world. Joshua is also an experienced developer and innovation consultant. Alongside organisation consulting, Damian does biz dev and account management of a software design and development product he has cofounded with another livelihood pod — Root Systems, and contributes his monthly margin from this work back to Golden Pandas. This might all seem a bit messy and unaligned — but by a tonne of communication, and much experimentation we’ve streamlined our offering. For example, with the support of other colleagues from Enspiral, we launched a global workshop series in 2016. A key goal for the Pandas is becoming financially abundant (or as the lingo demands — prosperous pandas). Money has often been a uncomfortable subject for people working in social impact business. But from playing around in this field for a good many years, we’ve decided that financial abundance is going to serve one of our main priorities — to be able to work and deliver on highly impactful products and services, and contribute back to the commons — most importantly the Enspiral commons. Many of our skills and experience have been formed in the maelstrom that is Enspiral and we want to carve out part of our income or profit to go back to the commons of Enspiral (currently this looks like 10 percent of our revenue going to fund allocation in Cobudget). The pooling of resources and the guarantee that we’ll all be paid each month means we’re able to spend some of our time developing products rather than solely focusing on billing for our time. It also allows security and flexibility. As in many Enspiral ventures, we can follow our interests and there is no hierarchy. We utilise collaborative processes to decide which products meet our short and long term needs (including; income, impact, leverage, risk, excitement and so on). We have a super fun and novel approach to deciding which products are most likely to meet our priorities. We play product poker on Realtime board (the board is named the Panda Grove). In an upcoming blog, our resident process panda/geek Panda Joshua will go into more detail on Panda Product Poker and Product Staging. Below is an idea of what it looks like. Another key factor in Panda pod life is our need for autonomy and independence. We want to be able to work from anywhere with a decent wifi connection. Although the pod formed in August 2016, we were not all physically in the same location until January 2017. Even though this was tough, we still built a strong culture from our respective corners of the globe. Maintaining productive and healthy team culture and communication is a big topic in the digital nomad and remote worker community. We draw on our experience and the work of the excellent facilitators in the Enspiral network into the holding of efficient meetings and agile work processes. 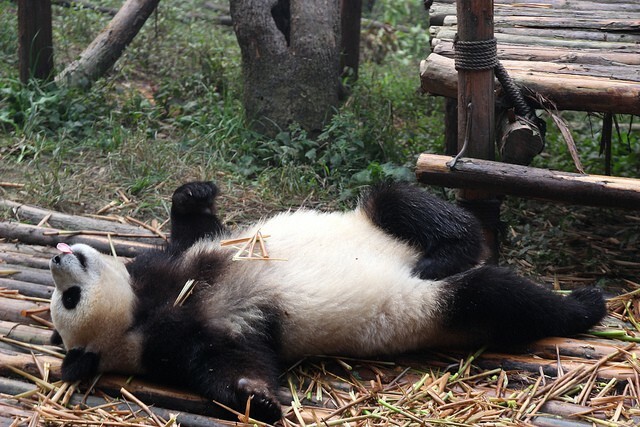 We’ll be publishing a post on how we run productive Panda pounces, syncs and stand ups in the next few weeks. 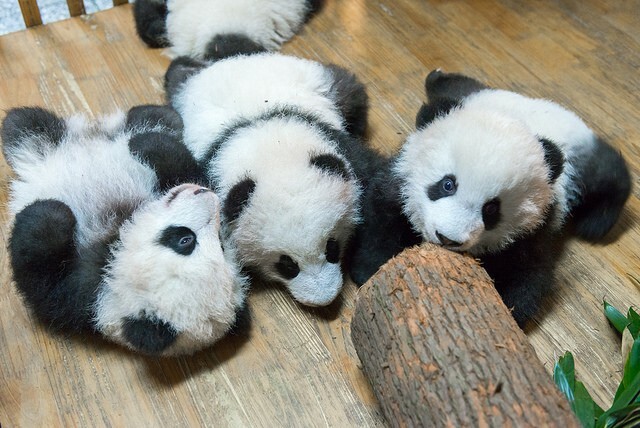 Stay tuned for more Pandas in your life.